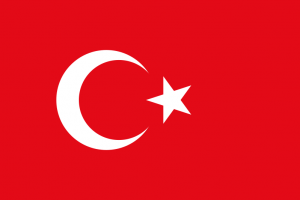 The new Turkish Commercial Code came into force on July 1, 2012. While the former code allowed the establishment of joint-stock company with at least five shareholders and limited liability company with at least two members, now it is possible to establish joint-stock (A.Ş.) and limited liability companies (Ltd. Şti.) with a single shareholder. This also applies to foreign companies. The new Code allows meetings of the director's board at distance, through the use of video conferencing. According to this innovation, foreign companies can save the costs related to travel in Turkey. In addition, the requirement that the members of the board of directors should be shareholders, has been abolished. Now, everybody can be a member of the board, provided that at least one quarter of the members is graduated (that is to ensure the participation of professionals). Even intellectual property rights may be paid as capital in nature, provided they are transferable and eligible for a monetary valuation. The former Commercial Code established that if a company entered into a contract for activities in excess of the corporate powers, the contract was illegal. The ban has been abolished by the new code and now the companies can access to new areas of business.